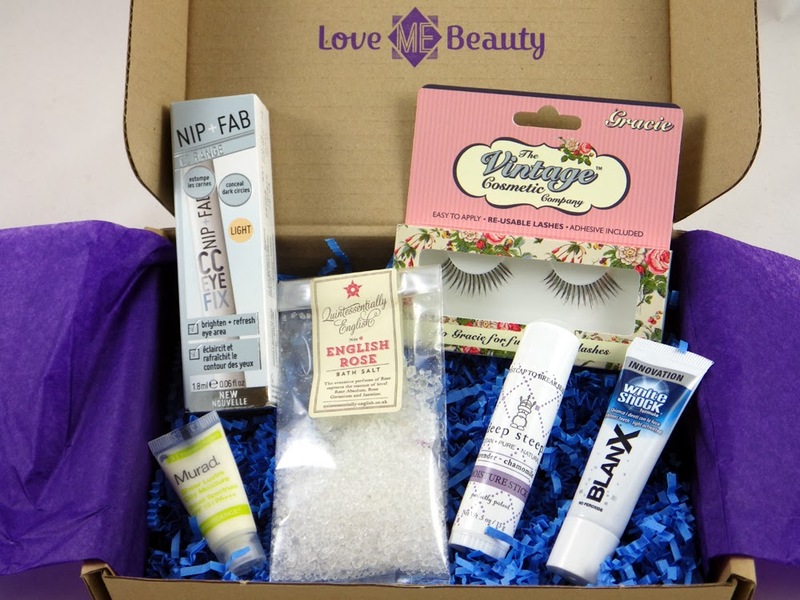 I really think that Love Me Beauty have upped their game this year with the products and brands featured in the monthly boxes. This month is no exception with a mixture of brands; some I know well and some I don't know at all and a good mixture of products covering makeup, skincare and bodycare. 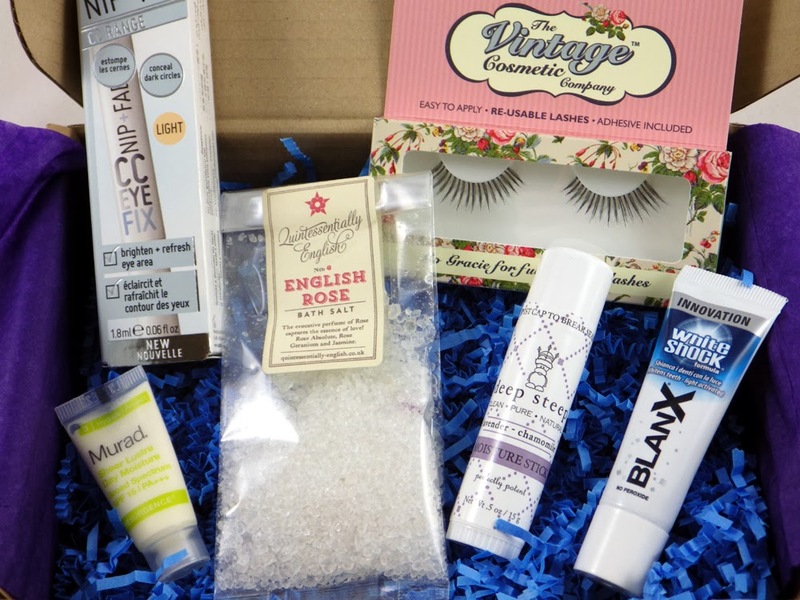 This £10.00 box (plus postage) contains three full size and three sample size products, which together are worth nearly triple the cost of the whole box at £29.37. Using this daily moisturiser will deeply hydrate your skin while powerfully protecting against harmful UV rays, minimising lines and providing a natural, dewy glow. The only toothpaste to contain ActiluX, a non-abrasive, peroxide free formula, that whitens teeth all day long by reacting to light to whiten your teeth naturally. This refreshing eye cream and concealer in one contains oat extract and light diffusing pigments to help brighten and lift the appearance of the eye area. Formulated to melt on contact with the heat from your skin, the Moisture Stick glides on easily and hydrates even the driest of skin. 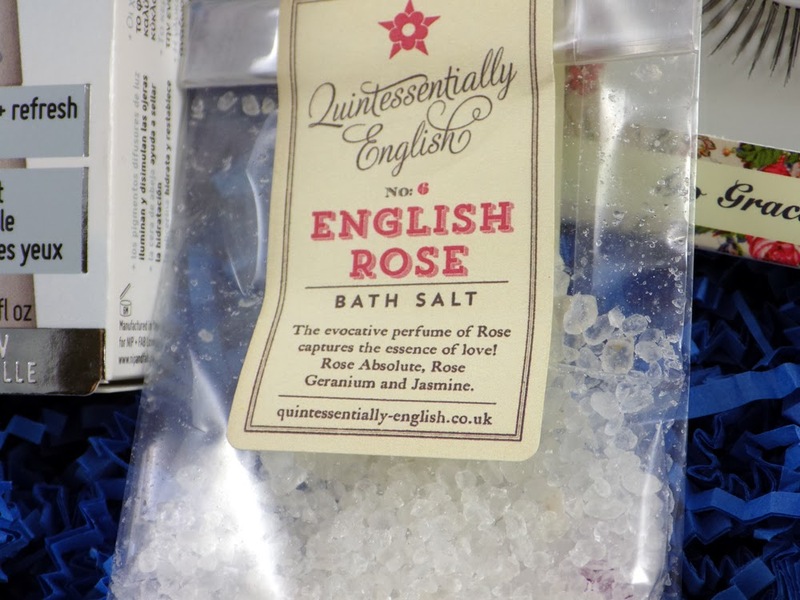 These soothing bath salts are made with dead sea salt and pure essential oils, with an evocative perfume of an English Rose Garden. 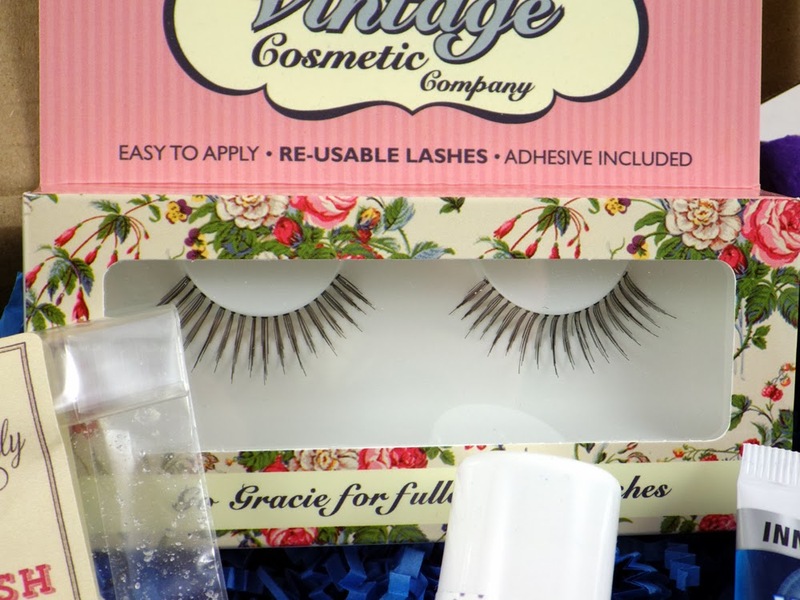 These lashes are natural enough to be worn during the day or at night to give more definition to your evening makeup look. Easy to apply and can be used again and again. The Deep Steep Moisture Stick is just lovely; it takes awhile to absorb but smells divine and makes skin super soft and hydrated. It's nice to use just before bed as a pampering treat as the lavender chamomile scent makes you feel rested at the same time. 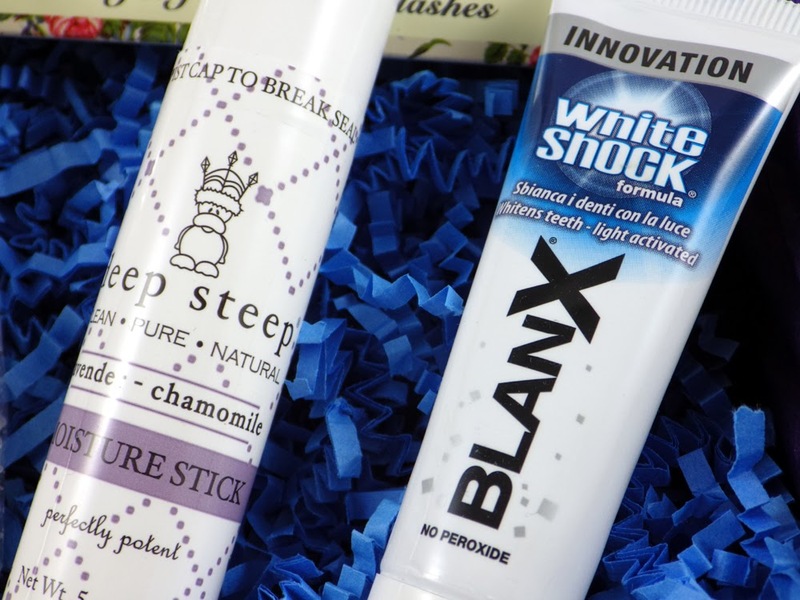 The BlanX White Shock Toothpaste is nice to see because I'm trialling this at the moment and now I have another for when my current one runs out. 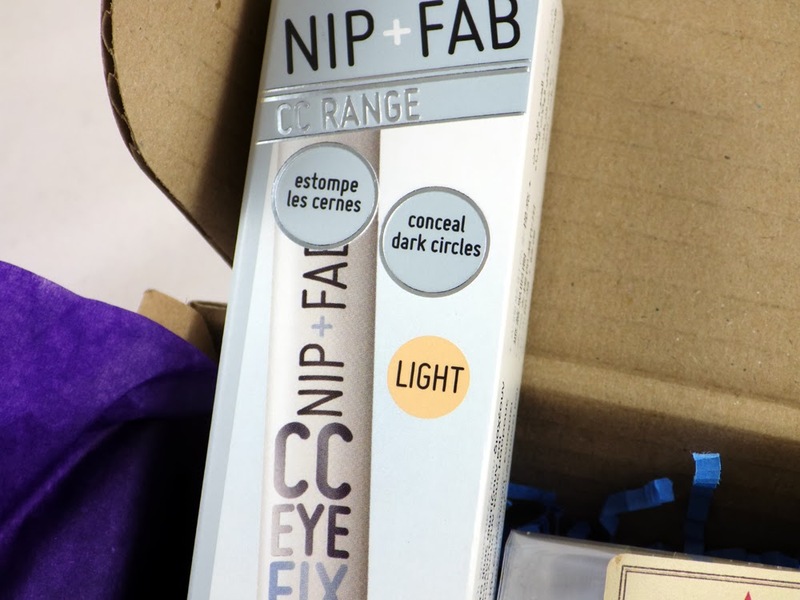 I'm really looking forward to trying the rest of the products from the box, especially the Nip+Fab CC Eye Fix because I'm obsessed with eye concealers! I'm intrigued by the CC fix, can't wait to read your review! I'd like to try the Blanx!